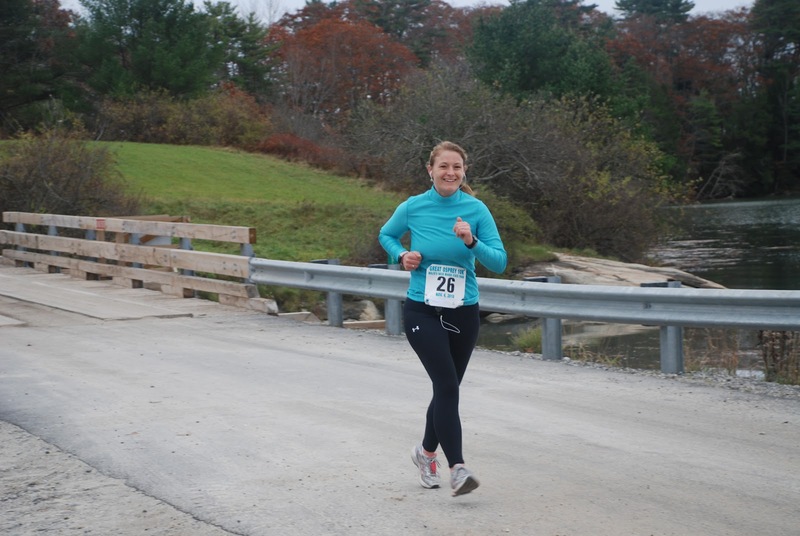 This week, my featured Rail Trail Chick is Stacy. Stacy is my bestest friend, ever. I really could go on and on about Stacy, but I'd take away from from her post today! 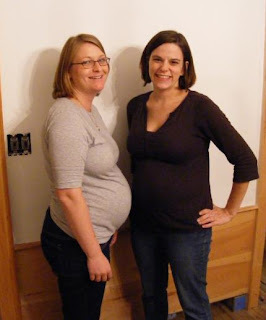 I will share this one picture of the two of us pregnant (just over three years ago) with our daughters. I was always one of those people who gawked at runners on the side of the road wishing I could be one of them. When Jen started running I was motivated even more. It took me a while, but she finally convinced me that I could do it. So, she was my real inspiration. 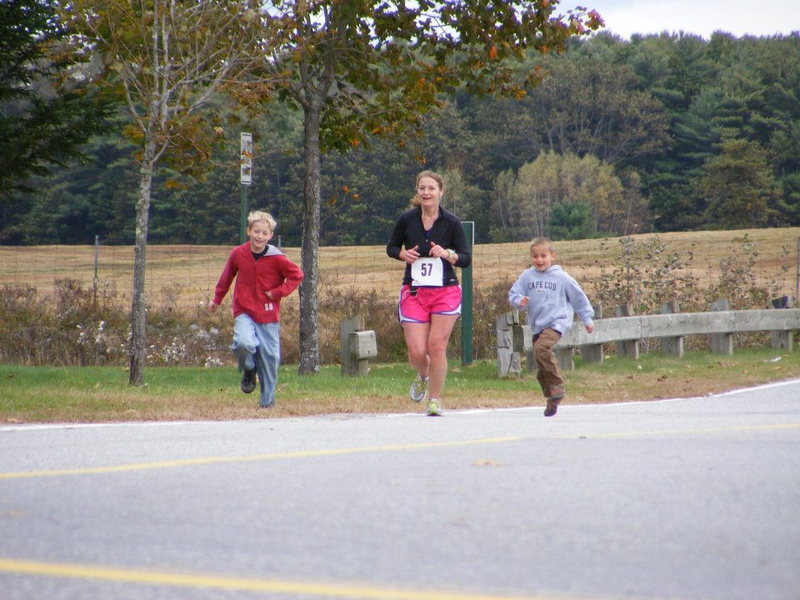 Now I am continually inspired to keep running by my children. 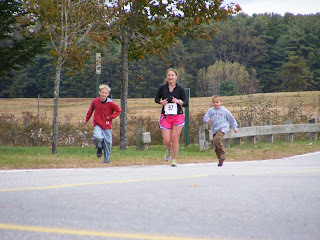 I love hearing them cheer for me at races and pretending to be runners themselves. 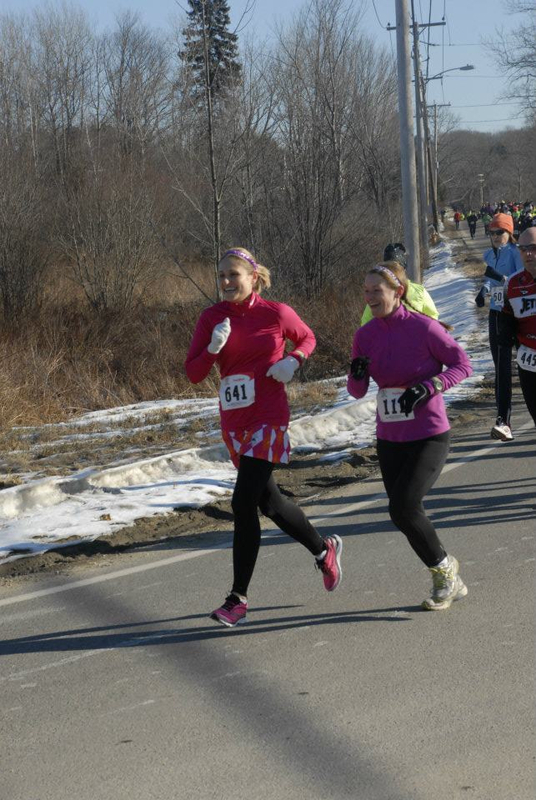 Running with others has really helped me to keep training. I have two fabulous groups of women I run with all week long. It helps keep me honest. What is your favorite post run indulgence? A LONG shower and a great cup of coffee. I am going to train for my first marathon...yikes! I know I can do it with the right training though, and my fellow chicks will help me through. I haven't really found a distance that I truly love. 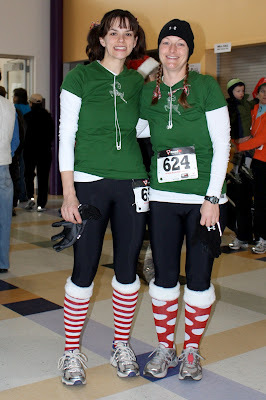 I still feel like a newbie in the running club because I am just wrapping up with year number two. 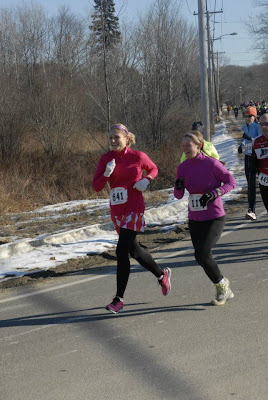 I'm still trying to find my race pace and not get so overwhelmed at the beginning of a race. Nice post... I love a hot shower after a run too or at least a long soak in a hot bath. Great to have such a best friend. Thank you, Elle. Yes, I am quite lucky to have such a great best friend. This would be the same Stacy! She is indeed a sweetheart. She is the most selfless person I know & truly makes me want to be a better person. PS She is going to LOVE zipfizz! Great post about another one of your rail chicks! I love a long shower too! It is especially nice in the winter!